As traction battery technologies and electro mobility as a whole continue to grow in importance, the recyclability of batteries has increasingly gained attention in politics, industry and science. The aim of this paper is to broaden the understanding about the recycling of traction batteries by applying the concept of information theory entropy. To this end, information theory-based entropy indicators are used to determine the material mixing complexity of current and future battery chemistries used in electric vehicles. Through the integration of different economic metrics and with the help of additional related information on industrial, political and social influencing factors the recyclability of traction batteries is evaluated and the development of future battery recycling systems and policies is discussed. 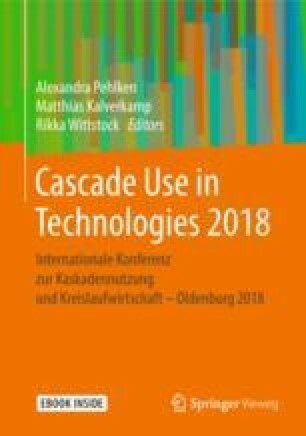 The results show that the proposed methodology is suitable for comparing different product technologies and that significant differences exist regarding the determining factors for the recyclability of different battery technologies.